2015 Mountain Pie Champion of Pennsylvania? 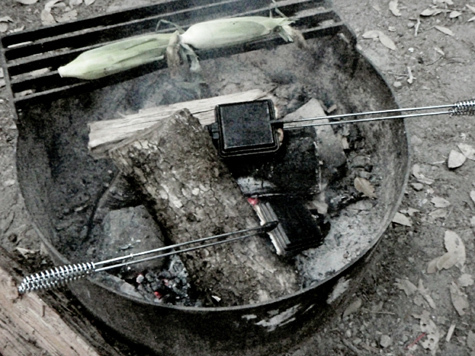 Mountain Pies, Hobo Pies, or Camper Pies, whatever you call those tasty little gems that are a campfire favorite, are going to take center stage during the 2015 camping season. Participating Pennsylvania Campground Owners Association member’s campgrounds will feature a good old-fashioned culinary competition at their campground one day during the 2015 camping season. Using three judges, each participating PCOA campground will choose two winners. Those winners will be eligible for the state competition to be held during the Gratz Fair on Saturday afternoon, September 26, 2015. The village of Gratz is located in Dauphin County, just 35 miles north of Harrisburg, Pa.
For more information visit a participating PCOA campground or head on over to PAcamping.com. The Rolling Thunder Toy Hauler by Open Range RV has been put out to pasture. I would like to inform my readers of the end of a great run. At the time of this blog posting, the Open Range Rolling Thunder Toy Hauler product line is no more. The Rolling Thunder, with its stampeding herd of horses logo, has been put out to pasture by the Shipshewana, Indiana RV manufacturer. The Rolling Thunder has been part of Open Range RV’s stable for about two and a half years. Slow sales and subtle shifts of interest by RV consumers were believed to be several of the determining factors in the discontinuation of the toy hauler product line. The Rolling Thunder was introduced to the public in 2009 as a toy hauler designed to be more comfy and utilitarian in design than its competition. 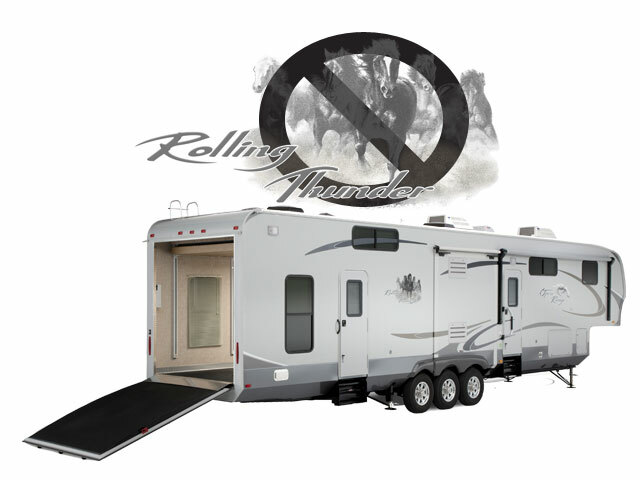 The Rolling Thunder was the fifth wheel toy hauler that was ‘not on steroids’ as owner Randy Graber noted. The Rolling Thunder product line did not feature over the top interior designs in decor or graphics, but gave the owner of the toy hauler more comforts of home. The four season unit was light weight by industry standards. As of the time of writing this, there has been no news of a replacement toy hauler product from the manufacturer. Here at Lerch RV, we currently have one Rolling Thunder H345 MPR left in inventory, having sold over twenty-five Rolling Thunders in previous years. Come visit our Milroy, Pennsylvania location and see why we are the largest Open Range dealership in the commonwealth. And maybe you will leave here with a great deal on a great trailer. With batteries wired in series, the Voltage increases but the Amperage remains the same. Example: If you take two 6 Volt batteries that have a capacity rating of 220 Amp Hours each and you wire them in series, you will get a total of 12 Volts of power; however, the total Amp Hours will remain the same at a total of 220 Amp Hours. With batteries wired in series, the positive (+) from one battery is connected to the negative (-) terminal of the other. The remaining free positive (+) terminal and negative (-) terminal are used to connect to your RV. This is how you create 12 Volts from two 6 Volt batteries. Following is a graphic that represents two 6 Volt batteries wired in series. Take a look at the diagram above. Here we have two 6 Volt batteries wired in series. With the positive from one battery connected to the negative of the other battery you have in essence created one 12 Volt battery out of two 6 Volt batteries. As I stated before, when you wire batteries in series, the Voltage increases and the Amperage stays the same. That is why in this scenario we have 12 Volts output; however, even though each battery is rated at 220 Amp Hours, we are still only receiving a total of 220 Amp Hours. The only thing that has increased here is the Voltage. If in this scenario each battery was a 12 Volt battery, you would have a total of 24 Volts output (which would not be good for your RV). With batteries wired in parallel, the Voltage remains the same but the amperage increases. Example: If you take two 12 Volt batteries that have a capacity of 210 Amp Hours each and you wire them in parallel, the Voltage will remain the same at 12 Volts; however, the total Amp Hours will increase to 420 Amp Hours. With batteries wired in parallel, the positive terminal connects to the positive terminal of the next battery and the negative terminal connects to the negative terminal of the next battery. This is how you increase the total amount of Amp Hours you can get out of your battery bank. Following is a graphic that represents two 12 Volt batteries wired in parallel. In this scenario we have wired two 12 Volt batteries in parallel. As a result, the Voltage has remained the same (at 12 Volts) however the total Amp Hours increases to 420 Amp Hours, which is the total of the two batteries added together. Take a look at the diagram above. Since this scenario gets confusing for some people I am going to try to make it as simple as possible. This diagram consists of two 6 Volt batteries wired in series. If you were to take a digital Voltmeter and measure the Voltage from the combination of these two batteries (holding one probe at the free positive (+) terminal and one at the free negative (-) terminal) you would get a reading of 12 Volts. For all intents and purposes, you can now think of this as one 12 Volt battery. In this scenario the Voltage has increased but the amperage has remained the same. Now if I want to ensure that I have more total Amp Hours for all my toys, all I have to do is take several of these 6 Volt battery combinations (that are wired in series to give me 12 Volts) and wire them in parallel. Take a look at the diagram below. In this scenario we have taken six – 6 Volt batteries and wired them in series and parallel to give us 12 Volts and 660 Amp Hours of battery capacity. How did we end up with 660 Amp hours? Remember that each 6 Volt pair of batteries wired in series gives us 220 Amp hours. We have now wired the three pairs of batteries in parallel and when batteries are wired in parallel, the amperage increases. So since each pair produces 220 Amp Hours x 3 pairs = 660 Amp Hours total. *Don’t mix batteries. If you are going to install new or improved batteries, make sure they are all of the same type (AGM, gel or flooded) and make sure that they are all purchased at the same time and are of the same age. Mixing older batteries with newer ones will most likely limit the longevity of the newer batteries and cause them to degrade or fail sooner. *Use true deep cycle batteries. Don’t get sold on marine batteries as they are not a true deep cycle battery and are constructed to be somewhere in between a starting battery and a deep cycle battery. *Before you connect your batteries to your RV or inverter, use a digital voltmeter to ensure that you have wired your batteries properly to output 12 Volts. The last thing you want to do is pump 24 Volts or more through your RVs 12 Volt electrical system accidentally and ruin all of your electronics. *When installing or working on your batteries make sure you use insulated tools. There is a lot of power stored in a battery. If you accidentally touch both battery posts with your wrench or touch the RV chassis, you could get shocked, burned or even short the battery out and cause it to explode. *When working on your batteries use protective clothing, safety glasses, and rubber gloves to protect yourself from shocks. If you have any questions on how to properly wire your 6 volt battery configuration or would rather allow an RV professional do it for you, give your Central PA RV Service Center a call at 800-722-1236. In this corner, the well-known 12 volt battery. In the opposite corner, the challenger, the 6 volt battery…. When I was deciding what batteries to use for my 5th wheel, the first decision that I had to make was 6 Volt vs. 12 Volt batteries. Based on my research, I found that many avid RVers swore by 6 Volt batteries as being superior to 12 Volt batteries. I know that some people may be a little confused by this as they ask, “Don’t most RVs rely on 12 Volts?” The answer is yes, however, you can use 6 Volt batteries if you wire them properly to output 12 Volts. So the next question that many people ask is, “Why would you use 6 Volt batteries instead of 12 Volt batteries? Why not just use 12 Volt batteries?” If you do some research on the web, you will find endless debates surrounding this topic. In reality, the most important thing to consider is the total Amp Hours you will receive from the batteries in relation to what you can fit into your RV in terms of weight and space. However, there may be some truth to the idea that 6 Volt batteries are superior. If for instance you use two Group 27 12-Volt batteries that are rated at 105 amp hours each and you wire them in parallel (we will discuss parallel vs. series wiring below), then you will receive a total of 210 amp hours out of your batteries. However, if you use two 6-Volt batteries that are roughly the same size and weight that are rated at 210 amp hours each and you wire them in series for 12 Volts, you will also receive 210 amp hours out of them. So in both situations you are using two batteries and in both situations you are getting roughly the same amount of Amp Hours. So the question remains why choose the 6 Volt batteries over the 12 Volt? The reason is simple when you consider the batteries construction. Remember from our discussion earlier that a 12 Volt battery is actually made up of six individual battery cells that each output approximately 2.12-2.15 Volts each. Each one of these cells is made up of a lead plate that is surrounded by an acid solution. Generally speaking, the heavier these plates are, the longer they will last and the better suited they are for deep cycle discharges and recharges. Since 6 Volt batteries only contain three cells per battery as opposed to six cells for a 12 Volt battery and since comparable batteries (in terms of amp hours) are roughly the same size (dimensions and weight will vary), the 6 Volt battery is usually constructed with larger plates and therefore tends to last longer in deep discharge situations. Similarly, you may even find that 6 Volt batteries are slightly cheaper than 12 Volt batteries. As a result of the 6 Volt batteries being constructed better and being slightly cheaper, most avid RVers will choose the 6 Volt batteries if they have the space to mount them. If you do some additional research on the web, you can even find people who have tested 12 Volt and 6 Volt batteries side by side. In all of these tests, the results seem to confirm that 6 Volt batteries are superior. Safe travels and Happy RVing in the New Year. Save $$$ in 2012…Go RVing! Travelers save when they go RVing! A study prepared for RVIA by PKF Consulting USA found a family of four that owns an RV can take an RV trip for 23 percent to 59 percent less than other types of vacations. For a couple traveling by RV, savings were 11 percent to 46 percent. Even after accounting for factors such as RV ownership costs and fuel prices, the study confirms that RV vacations offer greater savings than vacations taken by car or airline and requiring hotel/rental stays and restaurant meals. PKF analyzed vacation costs to nine popular destinations for a family of four and a party of two adults and included different types of RVs and varying vacation durations. It also analyzed how theoretical increases in fuel prices could affect vacation travel costs. RV vacations proved more economical than the other vacations, regardless of trip duration, distance, or vacation region, said PKF vice president Kannan Sankaran. “While fuel costs are a component of the overall vacation cost, they are not significant enough to materially affect the outcome of our analysis.” So fuel costs are not really a factor to most family vacations. The perfect gifts for the RVer/Camper in your family. Christmas seems to come faster every year. If you are like me, then you probably wait until the last minute to find gifts for your friends and loved ones. It can be hard trying to pick out that special present for those who mean so much to you. If you are looking for the perfect gift for the RV enthusiast that you know, you may not know what to get. There are many great gift ideas to make RVing easier and more fun for RV owners and passengers alike. One of the things that you have to take into consideration when buying gifts for an RVer is space. RVs may have more room than other vehicles, but in terms of living space, being economical is key. One great gift for the avid reader would be an e-book such as a Kindle, Nook or maybe a new Kindle Fire. These devices will free up a lot of storage space currently being used up by books, many of which are read once and then never touched again. Less flashy things, like portable meal trays, are a great way to open up more room for someone who is living in an RV. One of the best gifts that you could give an RVer is the gift of more living space, so you may want to look for items that will take up little space or allow more space to be used. Another great part of RVing is being outdoors. Making life better while at a campsite is a great way to make an RVer happy on Christmas morning. Outdoor furniture such as chairs, tables, and even outdoor recliners will make living outdoors a lot easier. Outdoor carpets/area rugs for under the awning are always a hot seller too. If you are looking to get a gift for the chef in the family, kitchen utensils and appliances are always a hit. Just look for items that will take up minimal space and open up possibilities in the kitchen. There are many great products and possibilities out there for RV owners, so be sure to start your shopping now, because Christmas is just around the corner. 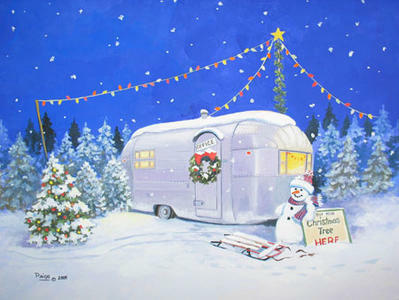 Be sure to visit your Pennsylvania RV dealer for all your RV Christmas needs. Skirting can help keep cold air at bay. The air is starting to get colder, the temperature is dropping and you may find yourself shivering in your RV or trailer. Even if you have chosen to go to a warmer area for the season, there may still be nights that are a bit nippy. 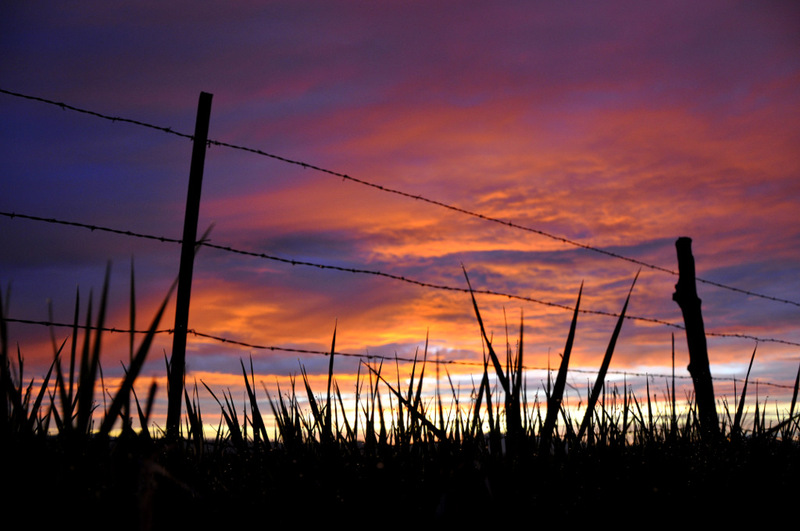 It seems the climate has been unsettling with temperature variations all over the nation. However the most effective way to keep the heat inside of your rig is to have high grade insulation installed throughout it. Unfortunately, that can be a costly solution that could also keep your RV in the shop for a long period of time. There are other great tricks and products you can use to keep the cold outside this winter. One of the most important things that you can do is checking your RV seals for leaks. If you have cold air coming into your RV then it will always be cold and you could be running your furnace too hard for little effect. Check your roof, windows, and doors to make sure that there is no cold air getting into your RV. If you do find little leaks or holes, then be sure to use a silicone sealant of caulk to stop the problem. It is common for air to come in from under the door. There are products out there that are designed to slip onto your door and seal off the interior. If you have a hardwood, tile, or linoleum floors, then you may want to purchase an area rug or loose carpeting. This will help keep cold air coming through the floor and it will also hold heat better. Be sure that you keep your blinds closed, and use your curtains if you have them. The cold temperature of the glass can start to take out the heat in your rig, leaving you feeling like an ice cube. Another great product to purchase is a roof vent pillow. This item is inserted to the RV roof vent and is usually made of foam or some other type of insulator. This keeps cool air from being conveyed through your closed roof vent. 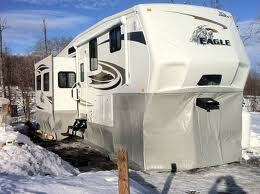 If you plan on living in your RV this winter, then you should be sure that your RV is ready to handle the cold. No one wants to go camping with Jack Frost, so make sure you keep him at bay. For great winterizing service and solutions be sure to visit Lerch RV.